When you wish to migrate your data away from Dana Hall’s Google services you can utilize a service called “Google Takeout”. Takeout delivers your data in a format that you will be able to use either in a personal Google account, or many other services that provide import options for these common formats. 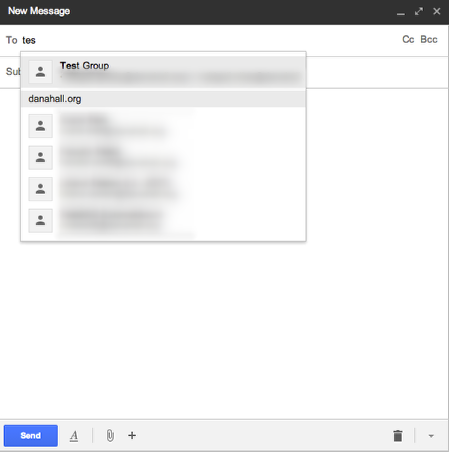 (1) Navigate to mail.google.com or gmail.com and make sure you are logged in with your @danahall.org Gmail account. 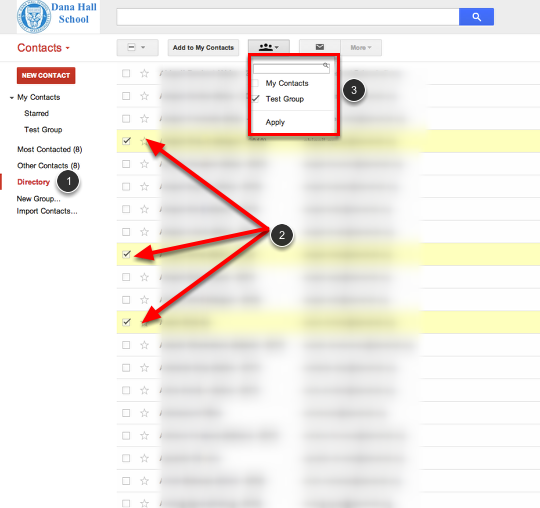 (2) “Most Contacted” will list people that you e-mail most frequently. “Other Contacts” will list everyone that you have e-mailed. (3) “Directory” is the most important one! This is where you can find the e-mail address of anyone with an @danahall.org account. (4) “New Group” will allow you to create customized contact groups for the different on-campus teams/groups you may be a part of. (1) Click on “New Group…” in order to make your first group or add another one if you already have some created! (2) After clicking “New Group…” you will see a pop-up in the center of the screen. Name the group anything you’d like to. 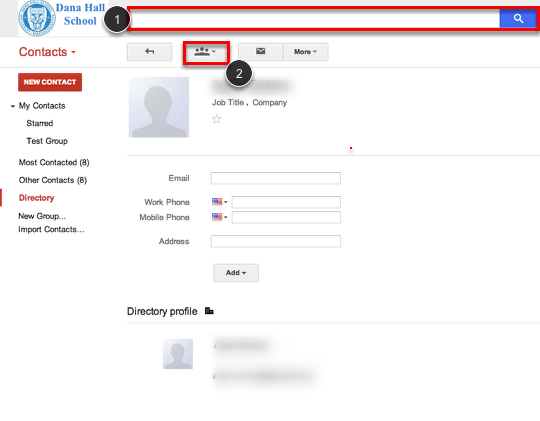 (3) Click the silhouette icon above the Directory list and select the name of your new group. You have now created a contact group that can be used as a mailing list. Below is a second method for adding contacts to your group. (2) Click on the silhouette again and select the group that you would like to add this contact to. 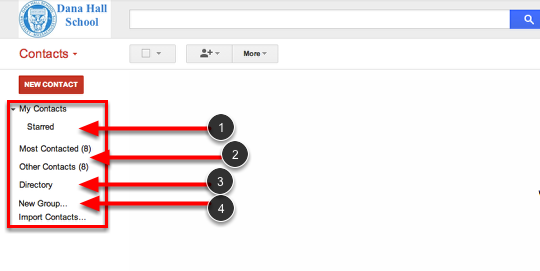 This method allows you to add one contact at a time instead of adding multiple at one time. Compose a new e-mail and in the “To:” field start to type the name of your group and it should allow you to then quickly e-mail a group of contacts.